• The pair managed to recover early lost ground, back closer to 30-month lows, albeit continued with its struggle to make it through the 0.7125-30 supply zone. • Technical indicators on the 1-hourly chart have been gaining positive traction but haven't been able to provide the required momentum to clear the mentioned barrier. 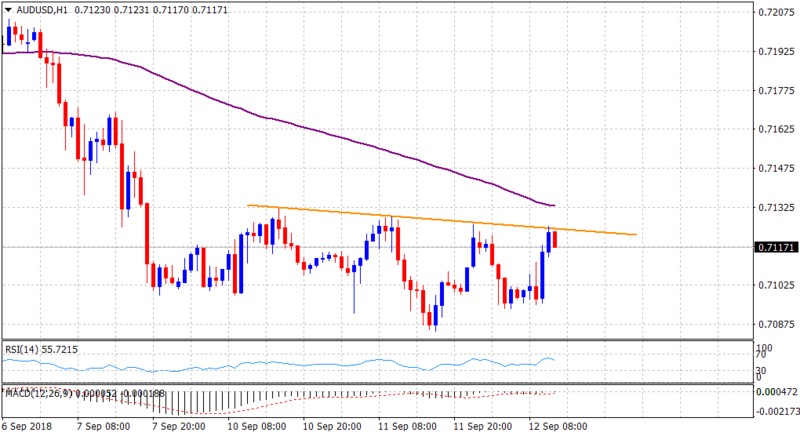 • A convincing break on the upside is likely to prompt some aggressive short-covering move and assist the pair to move back closer to the 0.7200 handle.